The tea that has astounding health benefits! One cup of Matcha has 10 times more antioxidants than one cup of normal green tea! 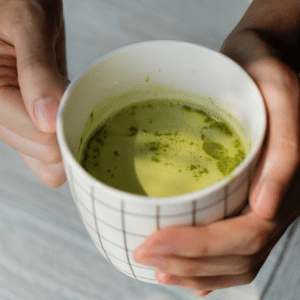 Matcha Tea has compounds that assist with improving health and well-being, not only is it said to help reduce the stress hormone but also increases alertness for up to 4 hours. Wow pass the tea to help counteract the 3pm slump! 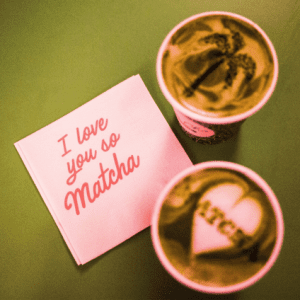 Matcha contains an amino acid called L -theanine that some research has shown to improve memory so remembering where you left your keys could be a thing of the past ( we can always hope). The biggest anti oxidant contained in Matcha is EGCG which is linked to weight loss as it helps boost the metabolic rate during exercise. Using the tea as a supplement along with a good nutritious wholesome diet and exercise can only add an injection of wellness that your body craves. Another fabulous side effect is the way it increases blood flow and a few studies have shown that it helps with anxiety due to the polyphenols found in the tea. Or maybe it’s just the fact that sitting down with a cuppa and taking some time just to breathe calms the body long enough to revaluate your thoughts and emotions. The more anti oxidants that we can consume the more power we have against the little bad boys in our bodies called free radicals. These free radicals cause disease and destruction, where as anti oxidants act like a sponge by helping to soak up the bad guys that cause illnesses. So put that kettle on and sip your way to a healthier immune system, calmer emotions, more alertness and better health. If there was a reason to drink tea it’s now!